Music is very important in a house church ministry. Since the kids were four years old they were singing in church. When they got old enough to hold a tambourine or a rattle they played music. Later on, they began to lead the praise and worship times. One day, our regular guitar player graduated and moved away. Jenn took up the challenge to learn guitar. Then came Augustine on guitar and percussion. Now Mark is growing in percussion. Two other daughters played the piano. Music has been a way to serve Jesus and worship him. Music preparation provides some discipleship training. God has utilized our singing in so many different ways, in ministry and in the community. Music does not take precedent over the Gospel message, but it does create a good environment for people to accept the Word of God. 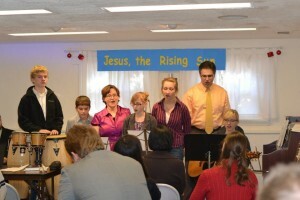 In our worship services, we have a blend of contemporary praise music and traditional hymns. 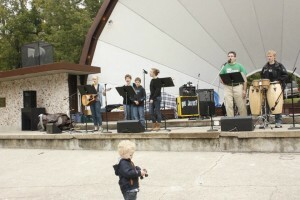 The praise and worship and special songs are contemporary. The music in the order of serve is traditional. I am glad we taught our kids the traditional hymns. There is a lot of great theology nestled in the verses. That is why the music should not just be praise music only. We also sing traditional hymns before our Bible studies. Hymns are so important. As we age, some of the last memories we hold onto are the Christian hymns we have learned earlier on in life. May God fill your house church with lots and lots of joyful, spiritual music. Singing Groups Our House Church Belongs To. 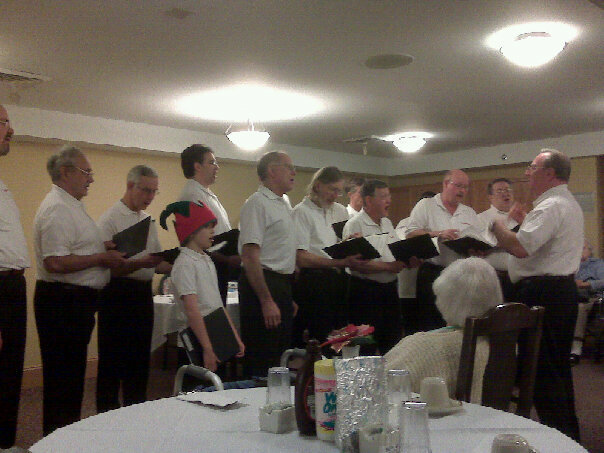 Get involved in a local singing group, even a secular one to get musical training, make friendships and be able to sing in the community. Let your Christian kids and youth in your ministry, get involved in singing groups in the school system. There will be lots of opportunities to grow in musical expertise and make friendships. 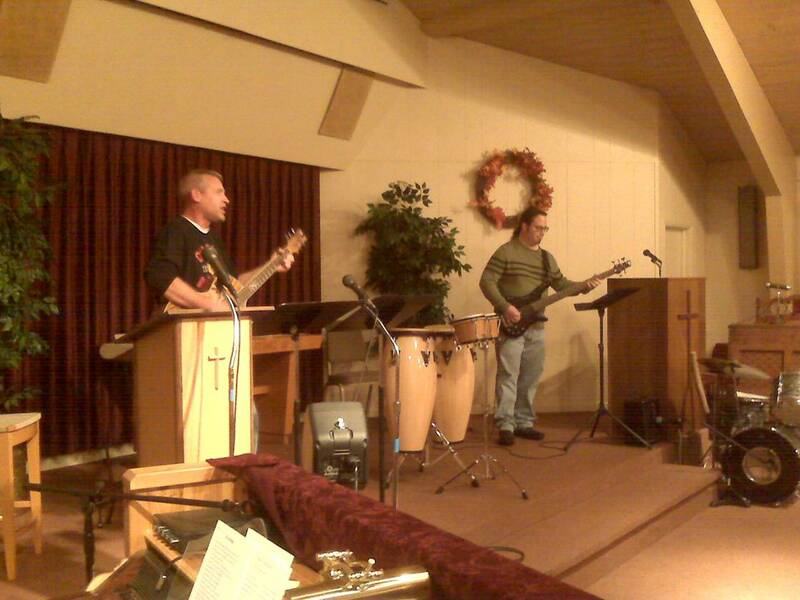 We team up with Dave at the DeKalb Christian Church in order to worship at Open Mic Night. It is good way to worship with other Christians, have fellowship, be mentored musically, and grow in our singing abilities. We are blessed through participating in local Christian Music Festivals. There is good co-working with other Christians. We can be a blessing to the community. We can also do things as a family. Chicago UBF Chorus Includes the different parts for the chorus to practice. This is a great opportunity for your small house church to put together a very special song with four parts. You don’t even need a music director. Your house church does not need an experienced music director, just a will to overcome a challenge.